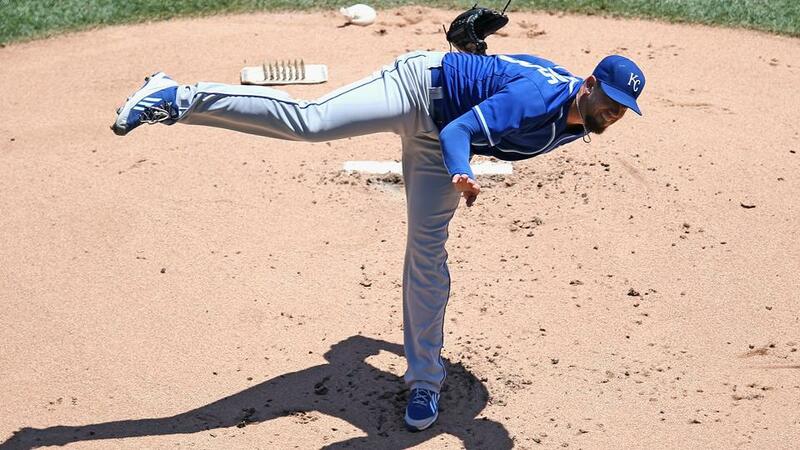 Now that Nori Aoki has planted himself in San Francisco for this upcoming season, that leaves only one major Kansas City free agent left on the market in James Shields. It’s a bit surprising that Shields hasn’t chosen where he will play in 2015, as it seemed he would sign once Jon Lester decided on his destination. 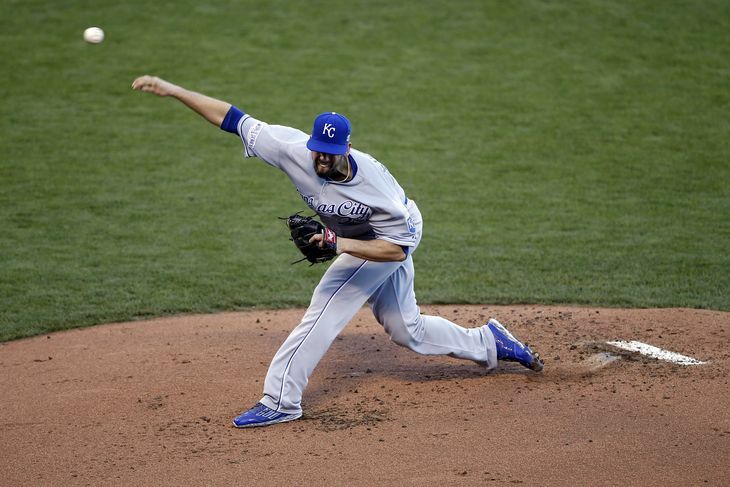 Lester chose the Cubs over a month ago and Shields is still being courted by several teams. The question now is which teams are in on the Shields sweepstakes? Arizona mentioned earlier last week they would like Shields to mentor their young pitchers if he ended up in the desert. Late in the week we also found out that the Tigers have had discussions with his agent, which makes sense since Max Scherzer won’t likely be returning to Motown. San Francisco, Boston, Toronto, Texas and Miami have all shown interest at one point or another for Big Game James but have all but said they no longer are interested, at least for the price he wants. A close source told ESPN’s Jonah Keri this past week that the Marlins have “zero chance” of signing Shields, which last I checked was as low as you can go. There was also word that a team had offered him $110 million (I’m assuming over 5 years) but that he didn’t want to sign with that team. So where will he land? Honestly, I have no clue. If you asked me this question before the season I would have told you big market teams like Boston, New York or Chicago would seem to be the frontrunners but the fact that we are sitting here in late January and there seems to be no clear winner, well, that tells me that this could go on a bit longer. As more and more time goes on, I’m glad the Royals aren’t wrapped up in these negotiations. Shields is 33 and wants a 5 year deal. I might not have enough fingers but by my math that would make him 38(almost 39) by the end of this deal. Add in his bumpy postseason performance and the amount of innings his arm has logged over his career and it makes one wonder if his regression is just around the corner. As much as I was initially against the trade with Tampa Bay that brought him to Kansas City, I can sit here now and say I was wrong. 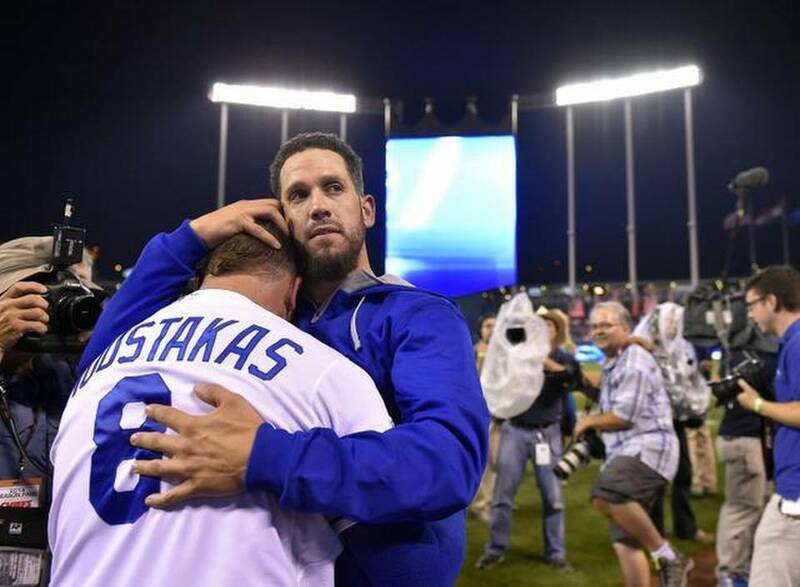 The trade did what it was supposed to do, which was get the Royals to the postseason. Shields was a big part of that and his work with fellow moundsmen Danny Duffy and Yordano Ventura speaks volumes about how his value exceeded any numbers he accumulated on a scorecard. But at this point in his career I would say good luck to any team that signs him. 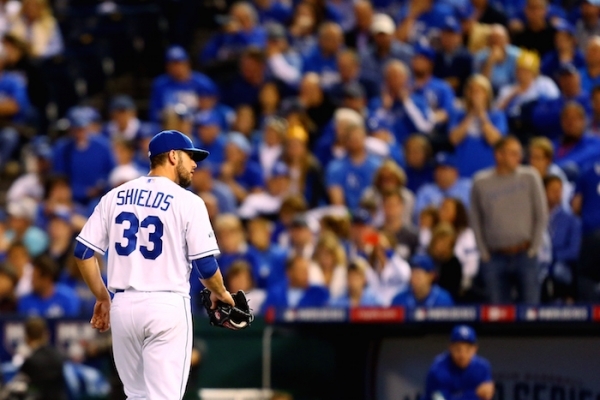 Maybe Detroit wouldn’t be that bad of a destination for Shields. But with the way this winter has gone he will end up in Atlanta with no logical explanation.